Below, I talk about the improving snowpack in California. 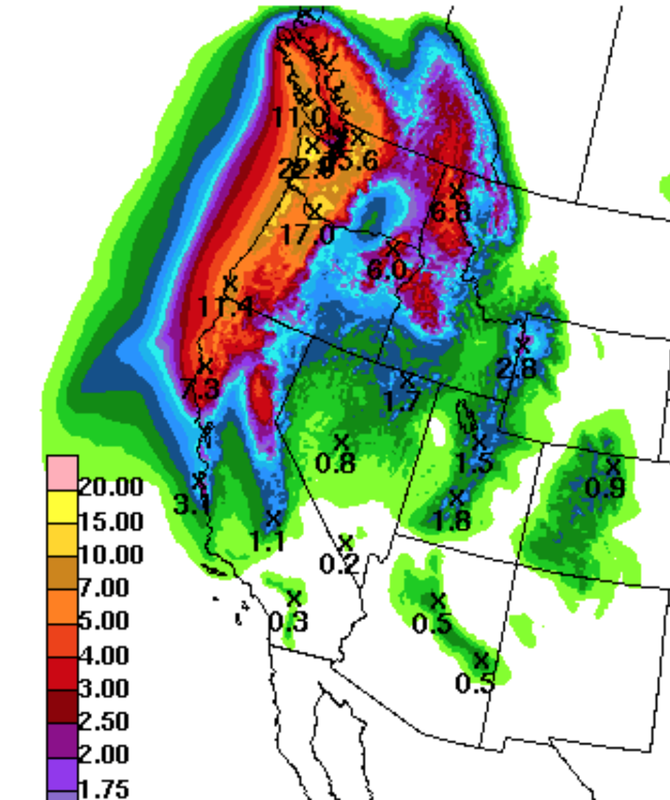 Things are going to improve substantially the next week with more than five inches of rain/equivalent snow moisture. 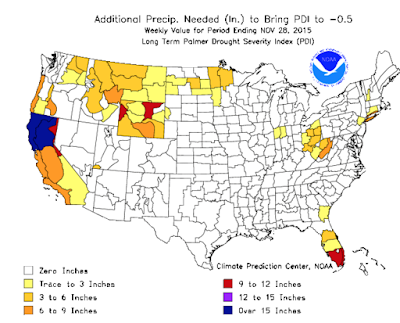 So, how much precipitation, over and above the average amounts, is needed to break the drought? The map below gives an indication. So, there is quite a ways to go. The good news is that the weather pattern makes it likely additional rains will fall in California and Oregon in days six through ten.